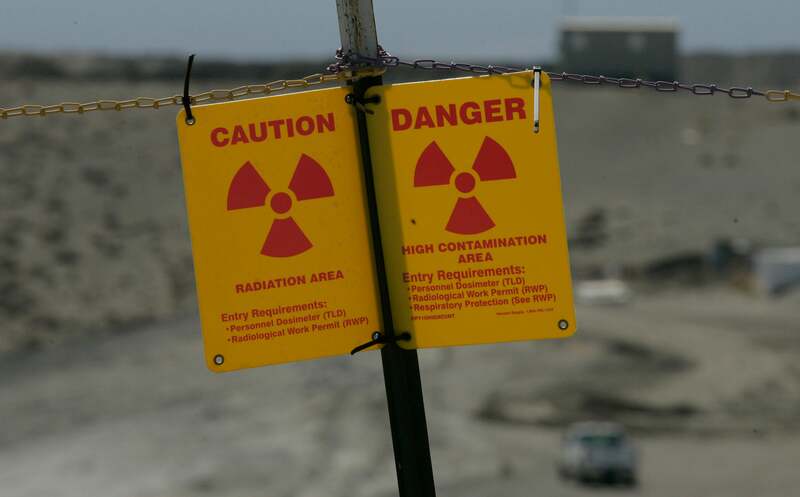 Earlier this week, we heard alarming reports of a "significant" nuclear waste leak at Hanford, the largest radioactive waste dumpsite in the US. 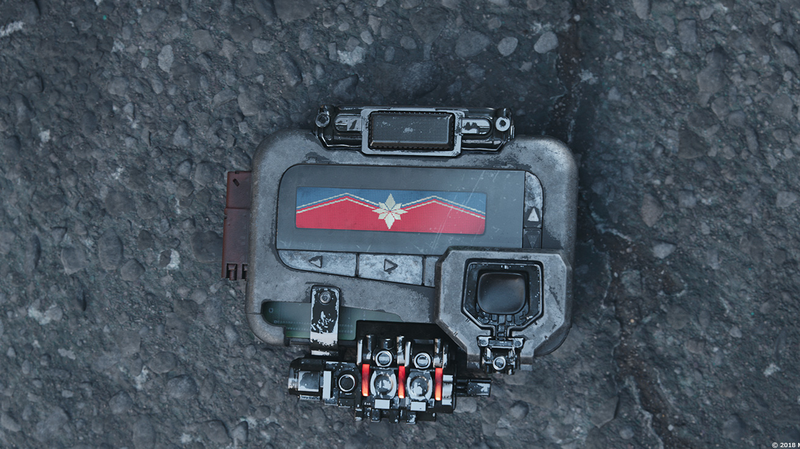 Should we be worried? Absolutely. But mainly because this is a symptom of a much bigger problem that's been festering for decades. Located just a few kilometres north of Richland in eastern Washington, the Hanford site houses 200 million litres of some of the most toxic material on Earth — radioactive sludge leftover from the world's first full-scale plutonium reactor. Most of the time, the facility is out of sight and mind, but every few years, news of a mishap at Hanford sparks public hysteria. The latest stir began on Monday, when KING-5 news learned that a years-old leak in the massive radioactive storage tank AY-102 had expanded substantially, raising concerns that the tank now poses an additional risk to site workers and the local groundwater supply. To those familiar with Hanford, this is a rehash of a tired story. And the root of the problem — ageing infrastructure that was never meant to hold radioactive sludge for more than half a century — is no closer to being resolved. "We have 177 of these tanks, containing the bulk of America's high-level nuclear waste," Tom Carpenter, executive director of the environmental watchdog group Hanford Challenge, told Gizmodo. "These tanks are in terrible shape, and we know others are subject to failure in the same way." To understand how we got into this mess, we need to understand the site's history. Built as part of the Manhattan Project in 1943, Hanford secretly churned out plutonium for the world's first nuclear weapon: the "Fat Man" bomb that levelled Nagasaki in August 1945. Only after the war ended did the facility's purpose become publicly known. After World War II, the Hanford site grew. Its three reactors multiplied to nine, fuelled by America's desire to project nuclear might at the dawn of the Cold War. Over its lifespan, Hanford would produce enough plutonium to furnish nearly 60,000 nuclear weapons. It was also the site of some appalling radiation tests involving live animals, as well as "Green Run", a top-secret Air Force experiment that sprayed a tremendous plume of radioactive iodine into the air. 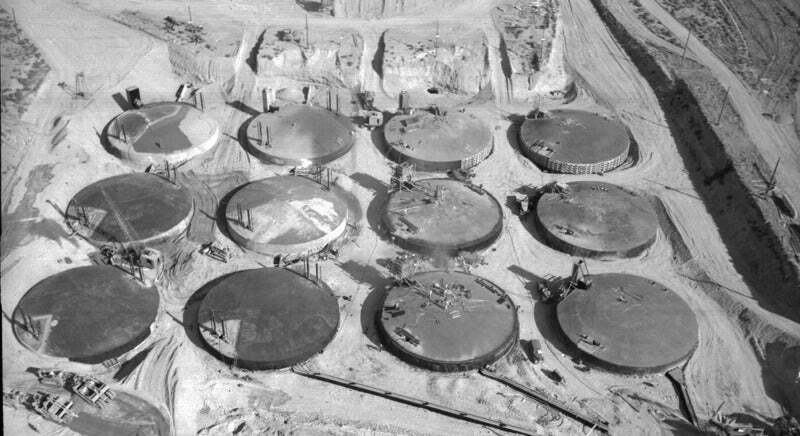 Between the 1940s and 1970s, 177 underground storage tanks were built to house the facility's ever-growing load of toxic waste — an elixir of strong acids, heavy metals and dozens of radioactive isotopes with half-lives thousands of years long. Lined with carbon steel due to the limited availability of more corrosion-resistant materials, the so-called "tank farm" was never intended to last more than a few decades. Now over forty years old, many of the tanks hold hundreds of thousands of litres of liquid waste, salt cake and sludge. Underground tank farm at the Hanford Site. US Department of Energy. Public domain. In 1987, the last nuclear reactor was switched off. Two years later, the US Department of Energy entered into a long-term remediation agreement, along with the state's Department of Ecology and the EPA. The cleanup was originally supposed to take 30 years. But 30 years later, we still aren't even halfway there. "They have tried to remediate, and it's been a giant mess," Greg Jackzo, former chair of the Nuclear Regulatory Commission told Gizmodo. "It's been failure after failure." By the early 2000s, it was clear that many of Hanford's oldest tanks were slowly leaking radioactive material into the surrounding soil and groundwater. So the DOE began transferring waste from the facility's 149 single-shelled tanks into 28 younger, double-shelled tanks. "The double-shell tanks were built to be a safeguard against the single-shell tanks," Carpenter explained. "That's why everyone was very surprised when the first double-shell tank developed a leak." The tank in question was AY-102. In October 2011, Mike Geffre, a former Hanford facility worker who maintained the instruments used to monitor the waste, discovered that radioactive material had leaked into the region between the tank's inner and outer shell (called the annulus). According to Al Jazeera, Geffre immediately reported the leak to his contractor, Washington River Protection Solution, knowing that by law it required action within 24 hours. Instead, WRPS ignored and downplayed Geffre's claims for months. But Geffre wouldn't back down, and he eventually helped to force WRPS' hand by going public with his complaint. It took a year for the company to admit that Geffre had been right, and to agree to start pumping the tank by 2016. That pumping operation finally got underway on March 3. Approximately 95 per cent of the tank's 3,028,328L of material had been removed when leak detector alarms sounded on the morning of April 17. According to KING-5 News, when workers lowered a camera into the tank's annulus, they discovered that the leak had expanded substantially, resulting in the accumulation of more than 20cm of radioactive waste between the inner and outer shell. Both the state and the DOE told Gizmodo this is not a serious problem. "It's something we anticipated," said Cheryl Whalen of the state Department of Ecology's Nuclear Waste Program. "We knew that there was a very high probability that stirring up material in the bottom of the tank would exacerbate the leak." 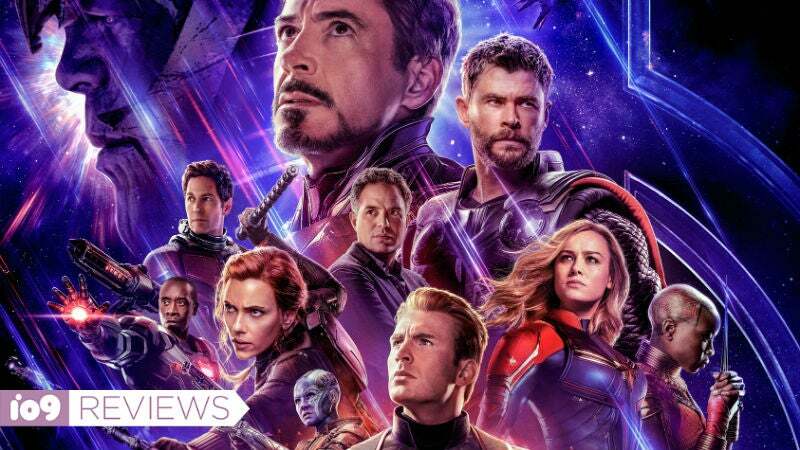 In a statement emailed to Gizmodo, a DOE spokesperson said that inspections of the tank "show no visual or chemical indications that waste from the tank has leaked into the environment". Whalen added that facility workers are currently in the process of pumping the waste out of the annulus, after which they will finish draining the tank. Some aren't buying Hanford's cool demeanour. In an interview with KING-5 News, Geffre, who no longer works at the facility, called the leak "catastrophic" and "probably the biggest event to ever happen in tank farm history". Carpenter notes that because of the way the storage facility was built, Hanford's ability to monitor environmental leakage is extremely limited. "I disagree that this was catastrophic, but I don't know that we have the whole truth yet," he said. AY-102's failure may end up being an environmental blip — but its implications for the rest of the tank farm are very real and very worrisome. When the leak was initially discovered, it prompted the DOE to investigate the integrity of all 28 double-shelled tanks. The conclusion? Twelve other tanks have similar construction flaws to AY-102. "The implication is, a bunch of other tanks could fail in this same manner," Carpenter said. And although we have no evidence that AY-102's outer shell has been breached, the annulus was never built to hold nuclear waste. If this tank, or any of the other double-shelled tanks, start leaking onto the ground, there's no viable strategy for cleaning the mess up. "We are very, very concerned about this," Whalen said, when asked about the integrity of the other double-shelled tanks. "If we have another leak, we won't be able to hold all the waste." 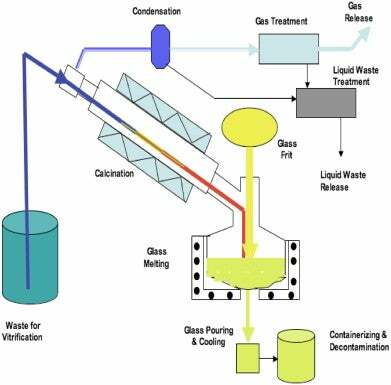 Ultimately, the goal is to remove the waste from the the tanks, encase it in solid glass (a process called vitrification), and bury it deep in the ground. The DOE has poured billions of dollars into a vitrification plant, which was supposed to begin operations in 2007. Then it was pushed back until 2011. Then 2019. Now, thanks to a number of as-yet unresolved technical issues, the DOE says it hopes to have some low-radioactivity waste turned into glass by 2022, with full-scale operations on high-level waste beginning in 2036. "No one at Hanford believes this date, including us," Carpenter said. "It's just another promise." "Look, the people doing the cleanup aren't responsible for this waste," Jackzo said. "This happened decades ago, when the country decided we needed to build nuclear weapons very quickly. We didn't have the EPA, and we didn't fully understand how this material could contaminate the environment." But even if no one at Hanford today is to blame for its toxic legacy, the fact remains that the facility's ageing tanks are a ticking time bomb. "They will all eventually fail," Jackzo said. "The question is, how long will it take?"